Of the total 145 I/NGOs involved in reconstruction and rehabilitation activities, as many as 58 I/NGOs are involved in shelter and livelihood activities, 70 in school building reconstruction and educational activities, 14 in health institutions reconstruction and other health related activities, 1 in heritage reconstruction and 2 in masons training-related activities. KATHMANDU, Jan 16: The National Reconstruction Authority (NRA) has made preparations to begin field-based monitoring of activities of international non-governmental organizations and non-governmental organizations (I/NGOs) involved in the reconstruction and rehabilitation in the 14 districts most affected by the 2015 earthquakes from next week. For that, the NRA has formed five different monitoring committees comprising officials of the line ministries and led by an under-secretary of NRA. It is for the first time that teams from the central office of NRA is going to carry out field-based monitoring of the I/NGOs activities. “All five committees will begin their tasks from next week,” Bhishma Kumar Bhusal, acting spokesperson of NRA, adding, each of the committees will monitor activities of I/NGOs involved in five sectors of reconstruction--shelter and livelihood, education, health, heritage and training. He said that the committee assigned to monitor activities of I/NGOs involved in reconstruction of health institutions and other health related activities will begin its monitoring from Nuwakot and Rasuwa districts from next Sunday. 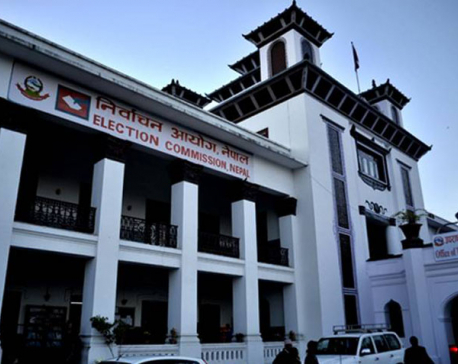 “Similarly, other four committees will also begin monitoring in various districts and see if the I/NGOs are working as per the NRA guidelines issued for them,” he said, adding, the committees are being deployed as part of NRA's move to check the activities of I/NGOs in the earthquake-affected districts. He said that the NRA decided to begin the monitoring work following reports that various I/NGOs involved in reconstruction and rehabilitation have not been carrying out activities in line with the agreement reached with the NRA and other line ministries. "We have also been receiving complaints that the I/NGOs working in training and other awareness sectors have not been carrying out their activities as per the agreement reached with us. So, it is high time that the NRA begins its monitoring to find out the reality," he added. Of the total 145 I/NGOs involved in reconstruction and rehabilitation activities, as many as 58 I/NGOs are involved in shelter and livelihood activities, 70 in school building reconstruction and educational activities, 14 in health institutions reconstruction and other health related activities, 1 in heritage reconstruction and 2 in masons training-related activities. The 145 I/NGOs are mobilizing Rs 40.742 billion in the overall reconstruction and rehabilitation tasks. The directives issued by the NRA for NGOs and INGOs include an annex according to which any breach of the agreement reached by the NGOs and INGOs with NRA will automatically lead to termination of their agreements. However, the NRA was yet to carry out monitoring of the activities of the I/NGOs so far.